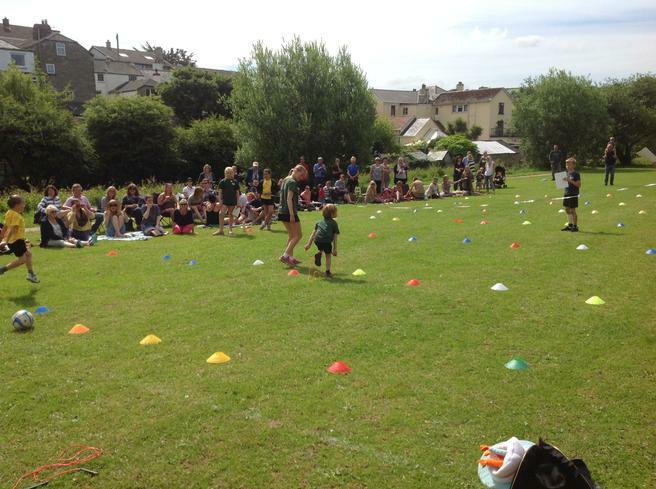 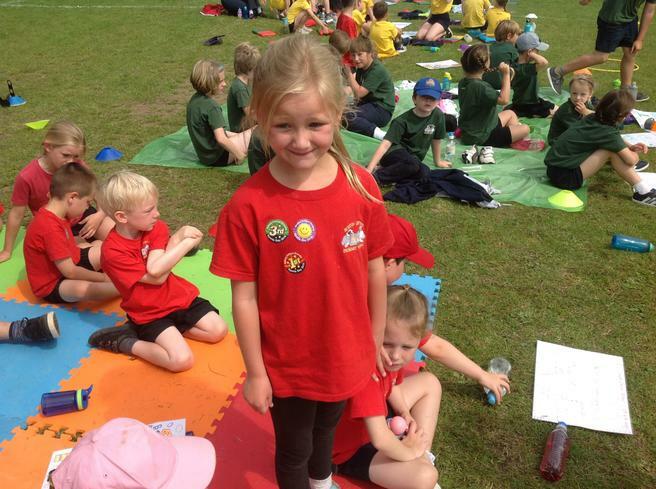 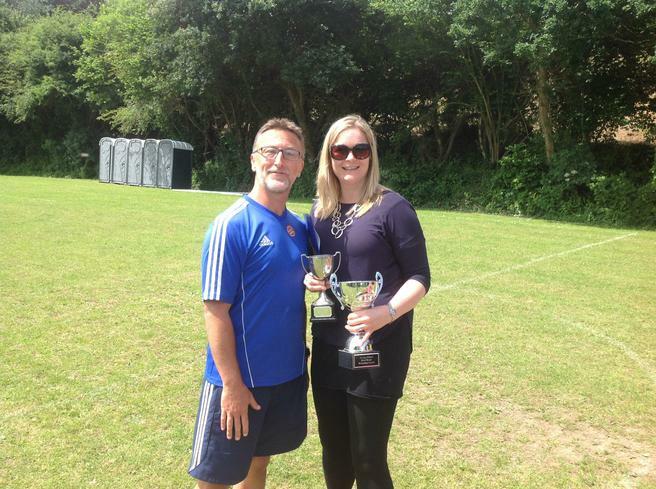 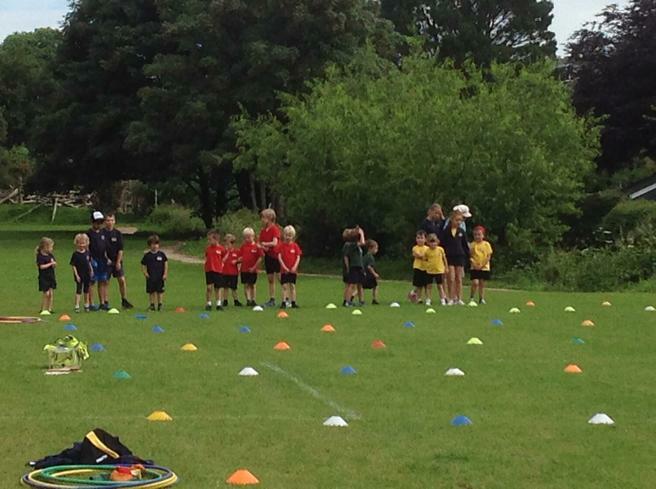 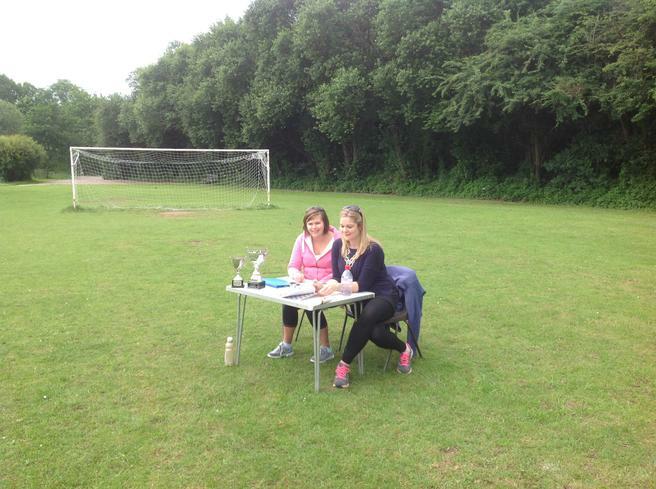 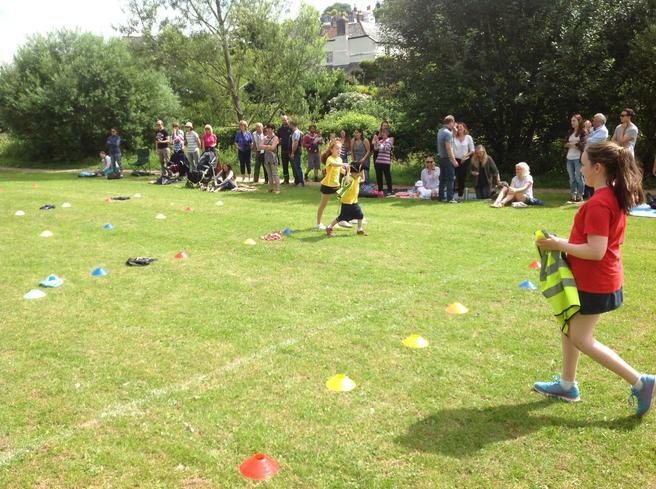 The sun shone on our Sports Day! 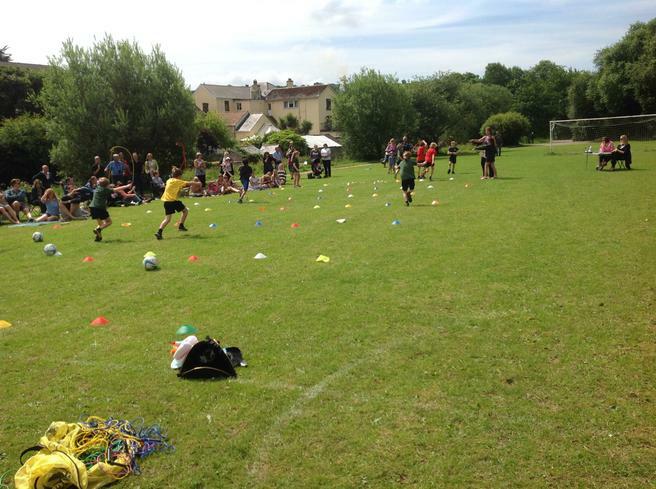 Everyone was delighted this morning to wake up to a glorious sunny day! 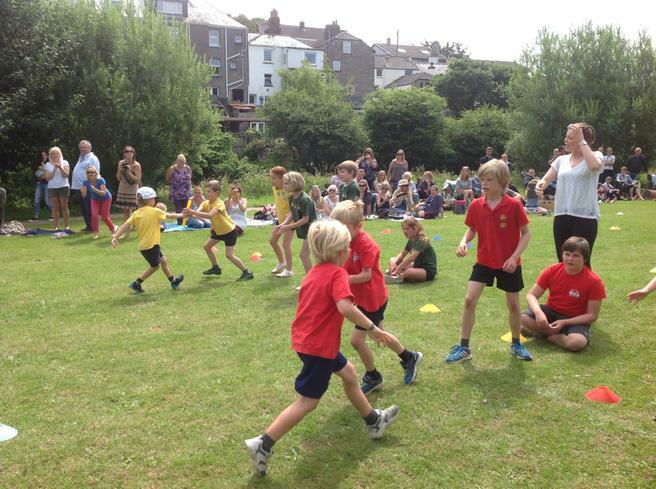 Nobody wanted to have to postpone out Sports Day for a second time due to the weather. 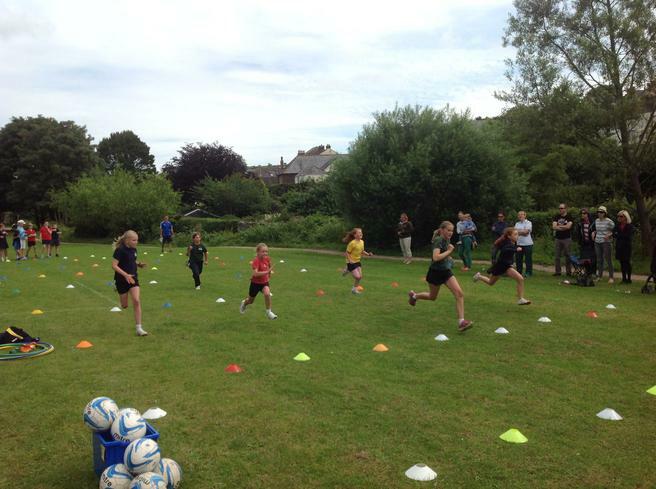 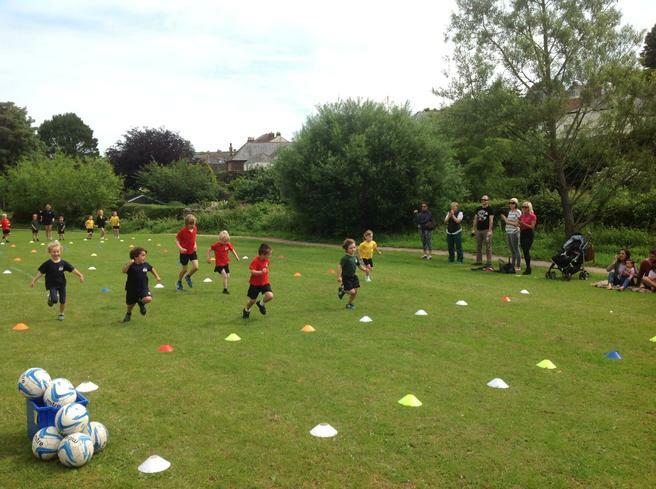 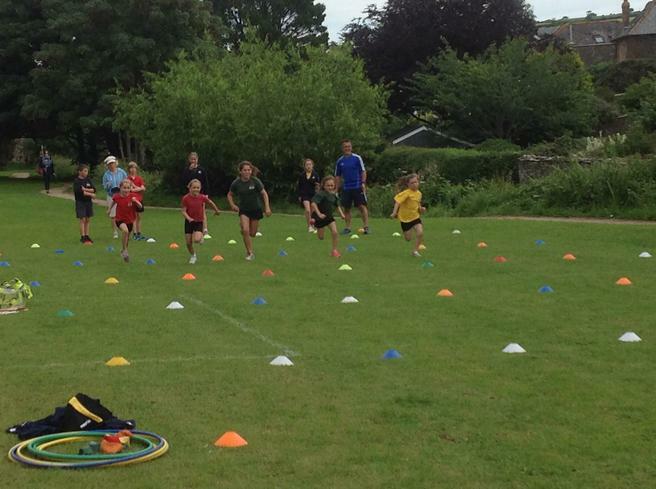 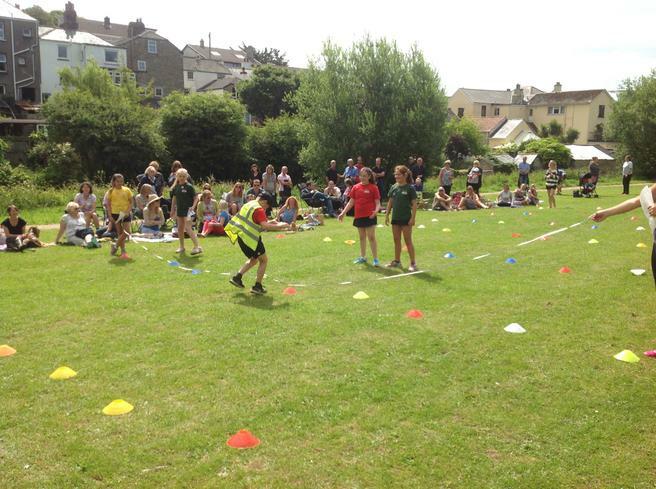 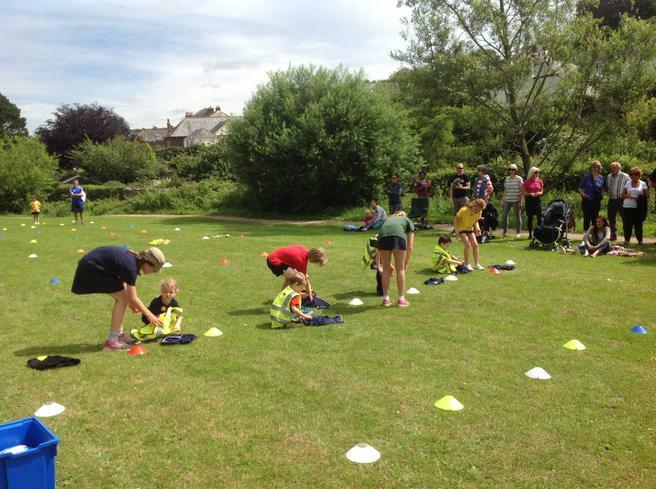 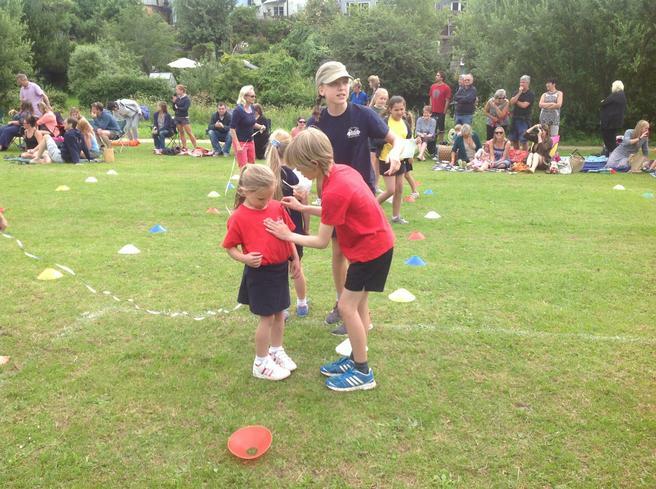 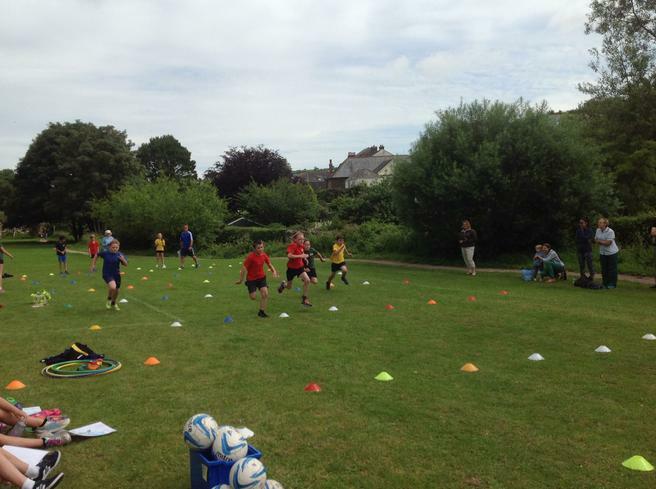 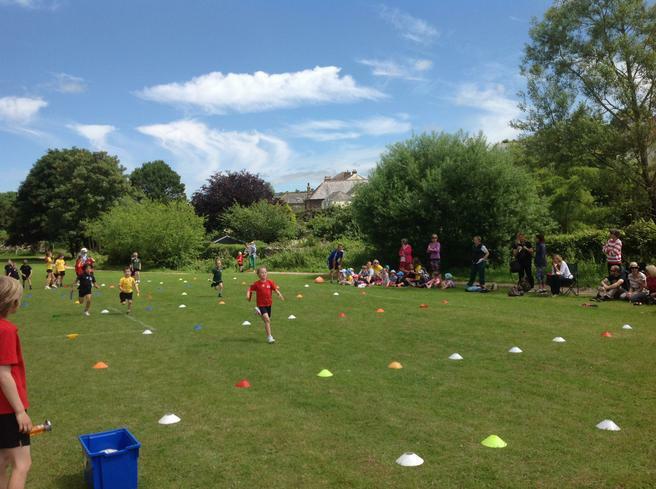 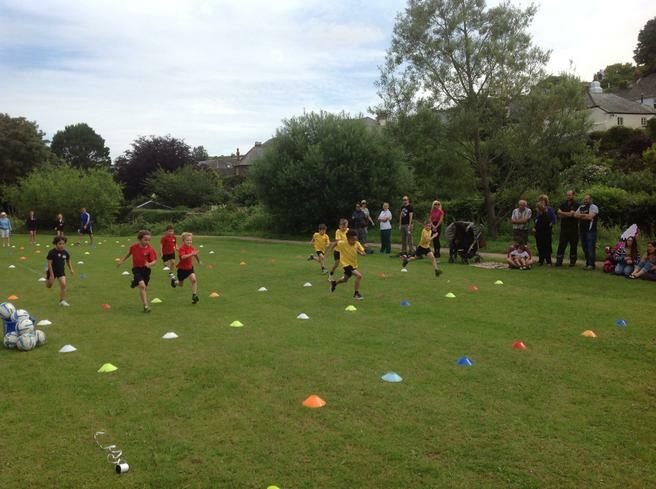 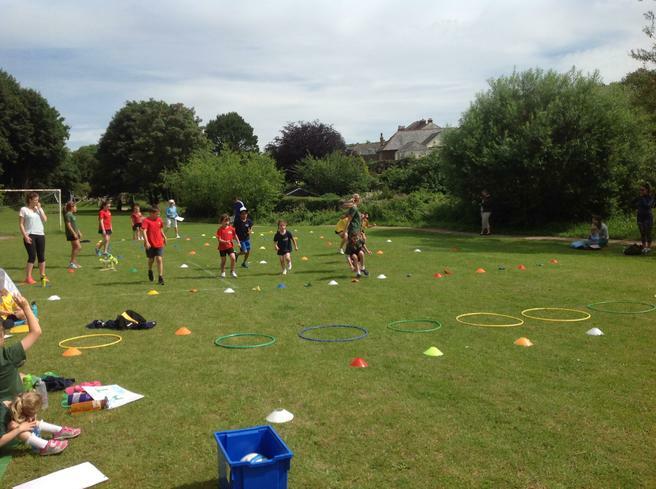 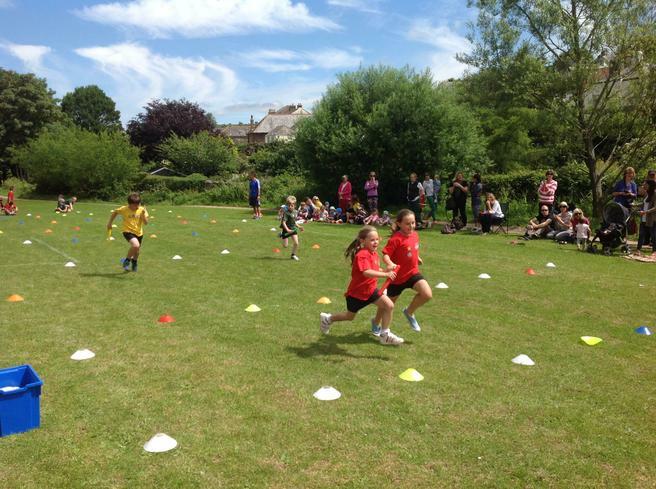 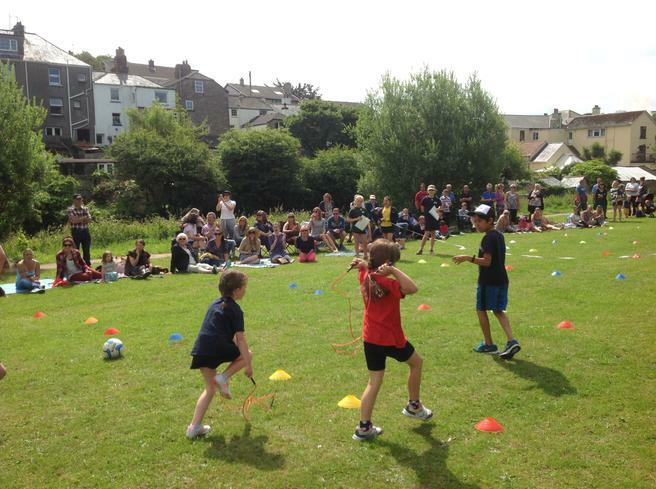 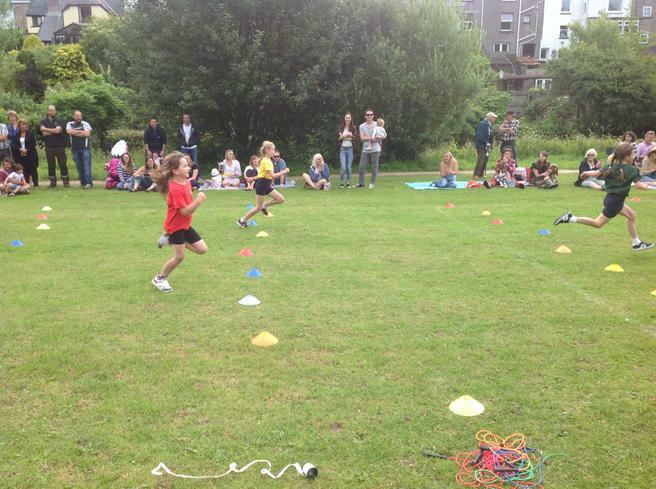 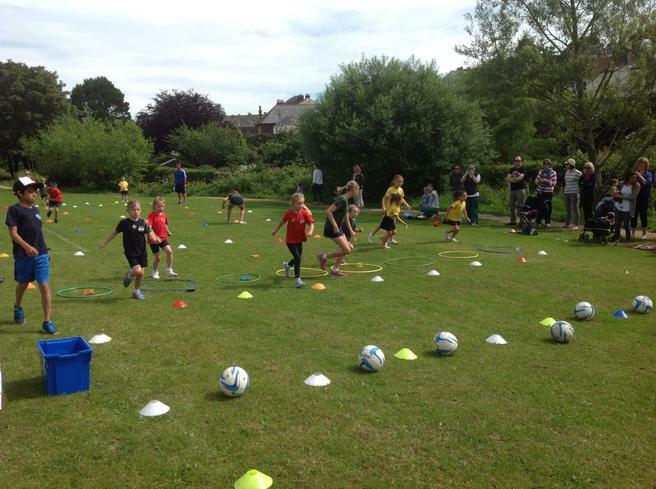 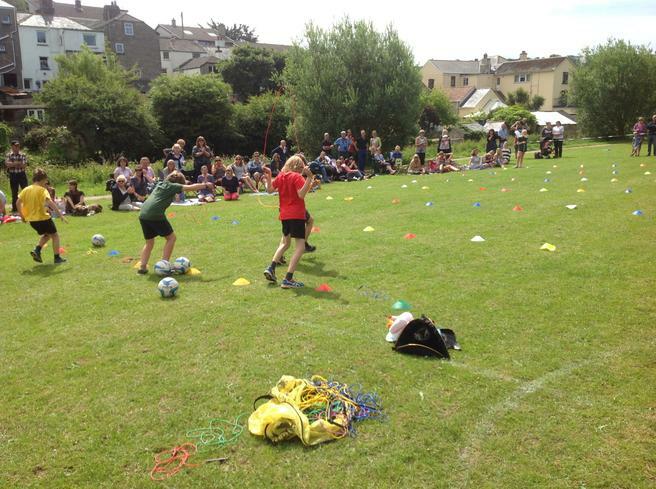 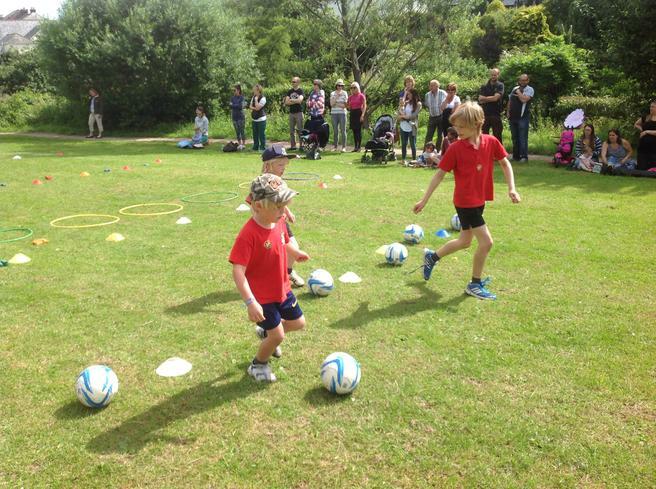 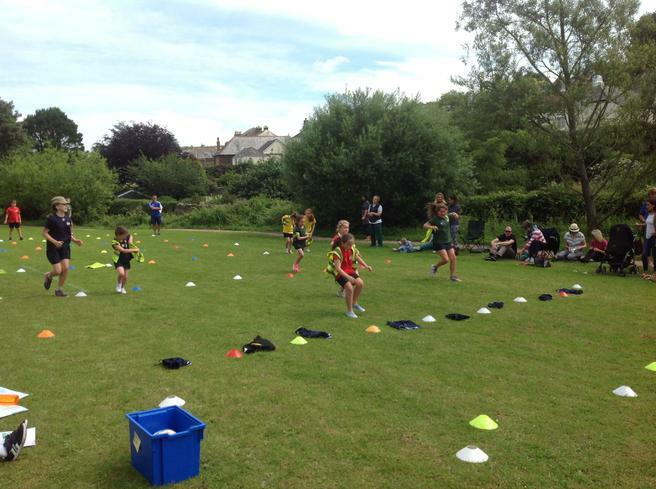 The children competed in their 'Houses' - Avon (Red), Dart (Green), Yealm (Blue) and Erme (Yellow) in a variety of events including relay races, individual running races and a fancy dress race, which caused a lot of laughter. 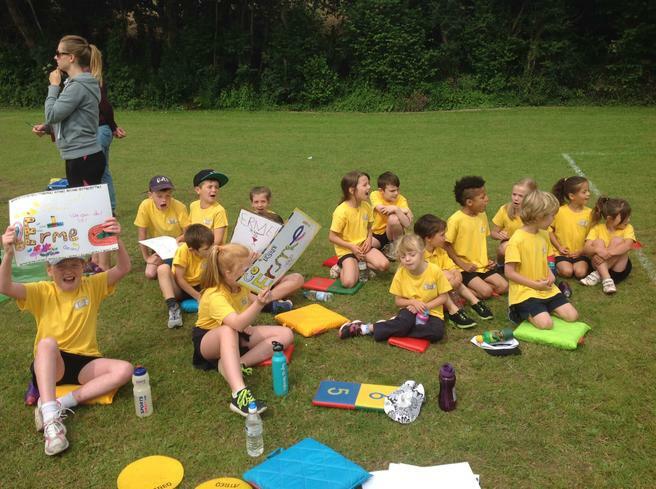 It was wonderful to see all of the older children in Years 5 and 6 help the younger children in Early Years and Key Stage 1, encouraging them all to do their best and assisting them when their fancy dress costumes misbehaved! 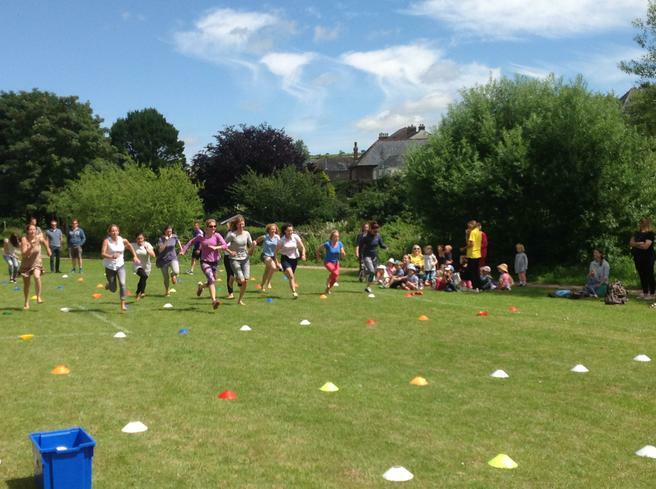 The morning ended with two very competitive races for all of our 'Mums' and 'Dads' - what a wonderfully athletic group they are. 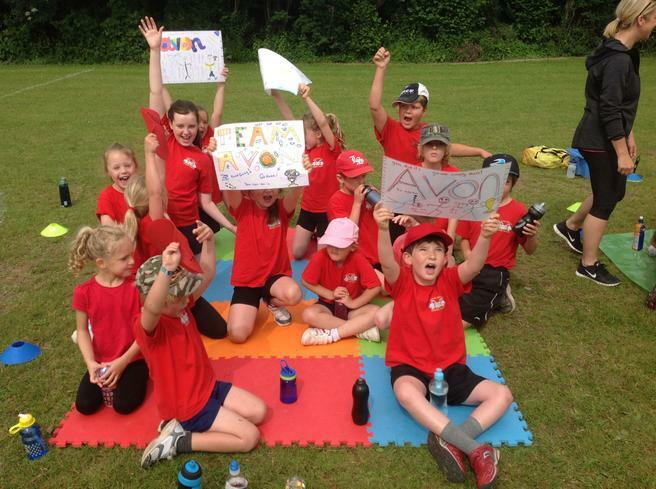 Two trophies were awarded at the end of the competition with 'Avon' winning the House Point Cup for being the overall winners of Sports Day and 'Yealm' winning the Drew Trophy for being the overall winners of the swimming gala. 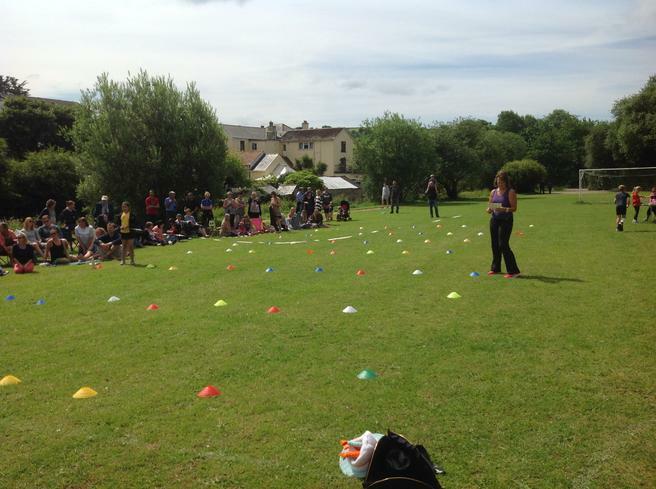 A big thank you must go to Miss Drabwell for all of the planning and preparation that went into making this such a great event.